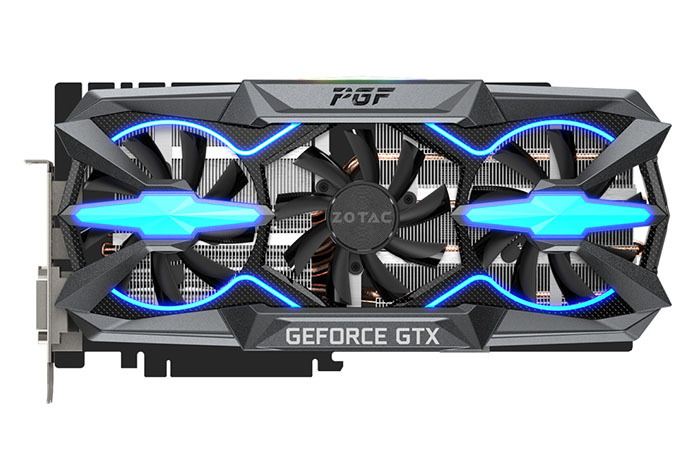 Zotac announced the most powerful single core graphics card in the market, we are talking about the Zotac GeForce GTX 1080 Ti PGF Edition (Prime Gamer Force), a graphics card that stands out quickly for an aggressive design equipped with a lighting system on the front, side and back (controllable with ZOTAC FireStorm). Yes! 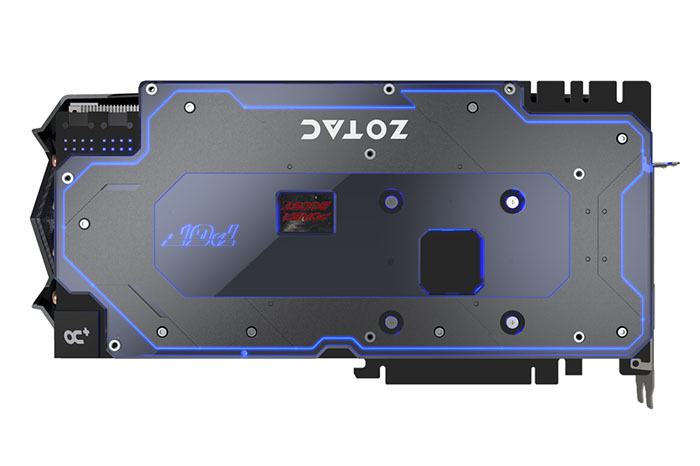 Backplate made of acrylic finish also features RGB lightning to see the glory of graphics card in the dark. 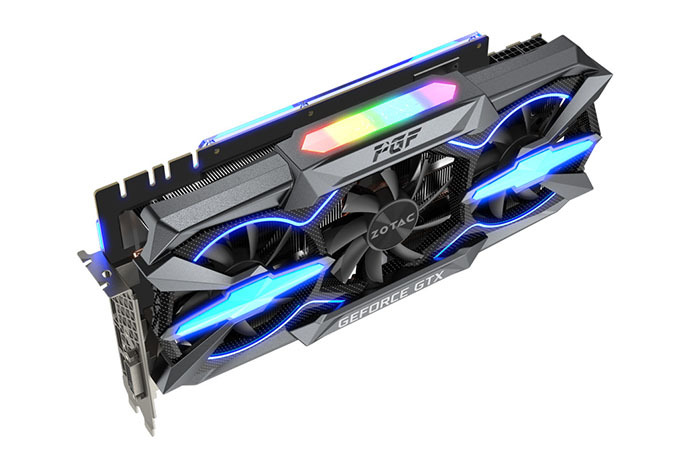 The Zotac GeForce GTX 1080 Ti PGF makes use of silicon GP102 with 3583 CUDA Cores along with 224 TMUs and 88 ROPs at unknown speeds, but its power through two 8 + 8-pin PCI-Express connectors, made of high quality components and it also feature Power Boost 2.0, which provides voltage stabilization under Overclocking conditions, promising to reach 2.00 GHz. It has a triple-slot and triple-fan cooling solution, where we find a large aluminum radiator that occupies the whole PCB crossed by several copper Heatpipes supported by a configuration of triple fan and an aluminum backplate to reinforce the PCB and to improve temperatures. Unfortunately, not a single word about its availability and price.